For its 120th birthday, Fiat went to the 2019 Geneva Motor Show to present a concept car, except it’s really not a concept car. It’s called the Centoventi Concept, which literally translates to “one hundred and twenty” in our language. It’s not the most creative concept name in the world, but it’ll do, especially when you begin to understand what it’s really all about. 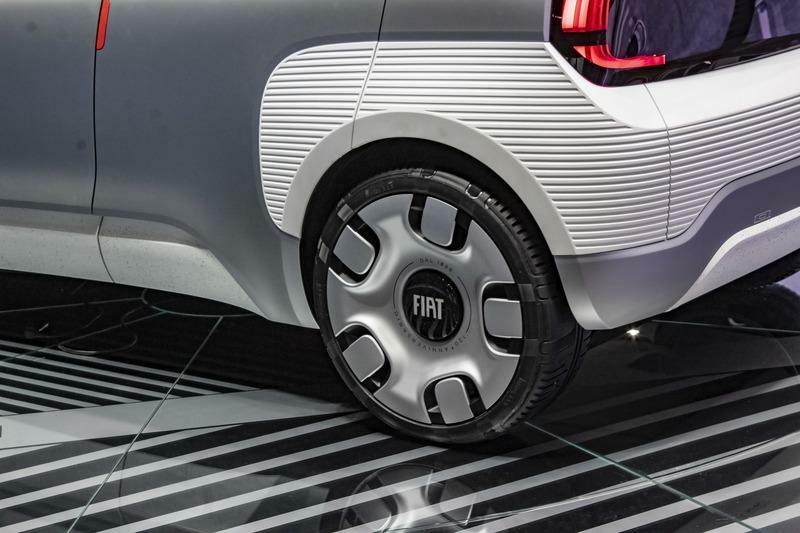 Fiat’s press release calls the Centoventi Concept a vehicle that “perfectly expresses the Italian brand’s idea of electric mass mobility in the near future.” What that phrase doesn’t tell you is that the Centoventi Concept is a lot more than just a representation of Fiat’s vision for its future electric. The concept is also a blank canvas that invites user customization. 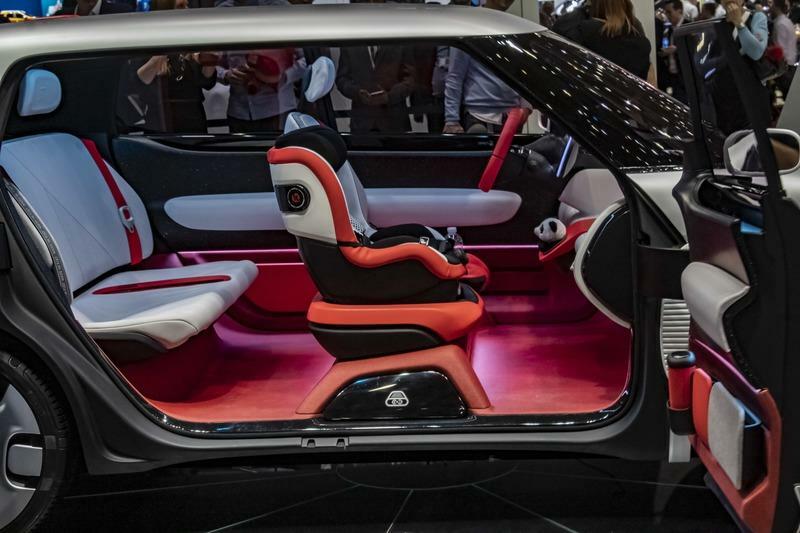 It’s a design-your-own ride that lets you personalize the car’s design from the ground up. Future urban mobility? Sure, the concept is that, too. But it’s really a modular platform for creativity. The Centoventi Concept doesn’t really have a “look,” in large part because that “look” will depend on how you design it. The Fiat Centoventi takes the form of a typical Fiat subcompact. 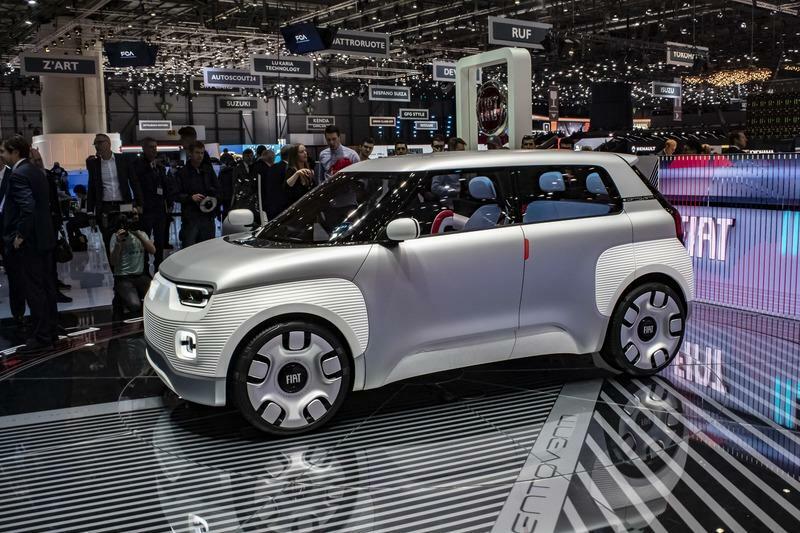 It’s 500-like in size and looks like a modern-day interpretation of the OG Fiat Panda. Look closely, and you’ll see nods from the “141” Panda, which gained notoriety for its lack of meaningful color. The Centoventi follows along that same path, though for an entirely different reason. The show car looks drab with the unpainted body, but that’s precisely Fiat’s intention. There’s no attempt on Fiat’s part to dress up the concept because you’ll have to do it yourself. Yes. You. Imagine sitting in your couch one day and the sudden urge to dress up your Centoventi strikes you. You could dress up the concept to match your outfit for the day, or you can dress it up for a specific occasion. Imagine your Fiat wearing its own tux, or what looks like a tux. That kind of modular adaptation sits at the heart of the concept’s existence. It’s worth noting, too, that the concept’s flat surfaces — there’s a bit of the Citroen C4 Cactus in it, right? — makes the job of reskinning the car in a new color scheme cheap and easy. It’s not just the concept’s skin that’s customizable. 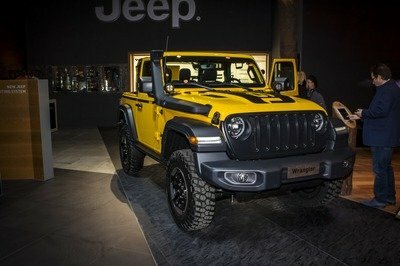 There’s an option to go open-top, and there’s an option to install a roof. One isn’t exclusive to the other so you can make that choice when you want to. There are even multi-function roofs available, including one with solar panels should the need for one arise. There are also elements of 3D printing that can be adapted into the design of the concept. The Fiat Centoventi Concept will look how you want it to look. Parts like the suicide doors in the back are there for show-and-tell reasons, but, for the most part, the concept doesn’t abide by traditional interpretations of what a concept car should look like, but more on what you want it to look like. This new wrinkle in vehicle customization can even extend to selling, buying, or trading parts online. Suppose that you want a new skin color for your concept. You can look for one online or trade with a friend who’s experiencing a similar identity crisis. The options know no limits, which is exactly Fiat’s intention in the first place. Beyond the concept’s modular setup, the Centoventi also features a tailgate that can be used to display messages to others. It’s like a small mobile billboard that you can rent out to advertisers. Who said you can’t make money driving a Fiat? If someone did, he obviously hasn’t seen the Centoventi Concept. 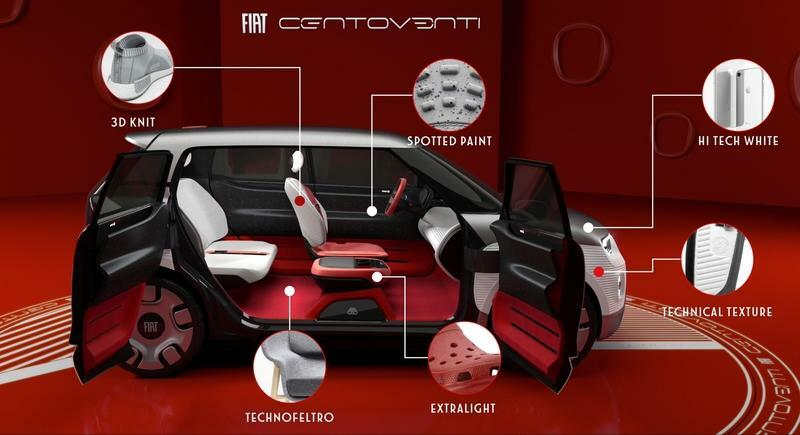 The Centoventi’s interior follows the same create-your-own routine. The interior itself is bare, at least compared to your expectations on what a concept’s interior should look like. 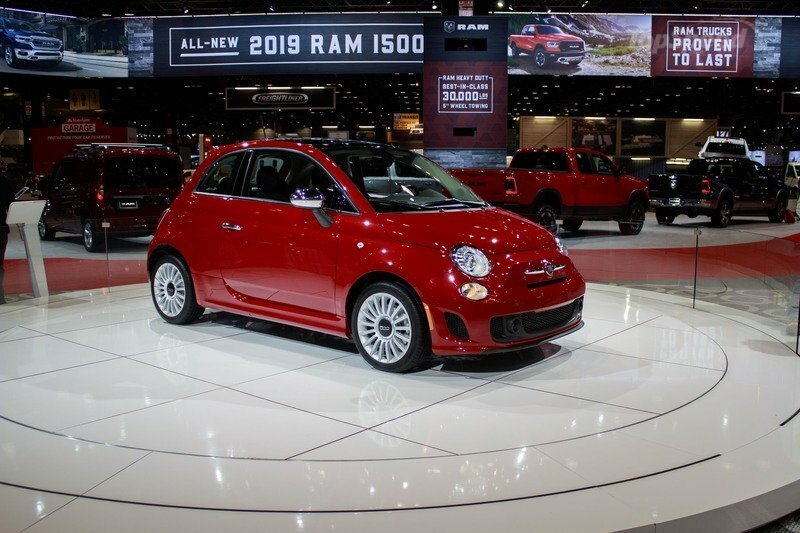 There are four seats, a steering wheel, a multi-layered dashboard, and the choice of either a 10-inch display or a 20-inch instrument cluster that Fiat calls "Lingotto." Named after the district in Turin, Italy where Fiat’s historic production facility is located, the Lingotto instrument cluster is a fully digital 20-inch device that’s integrated with HMI driving assistance and safety functions, such as direction indicator, Blind Sport Alert system, braking system, and battery charge status. At least this is one aspect of the concept that’s "traditional." As for the rest of the cabin, well, this is where your creativity comes into play. There are 114 Mopar-designed accessories that are available to the Centoventi. Your job is to choose the ones you like and dress up the interior with them. Literally, the floor is yours. 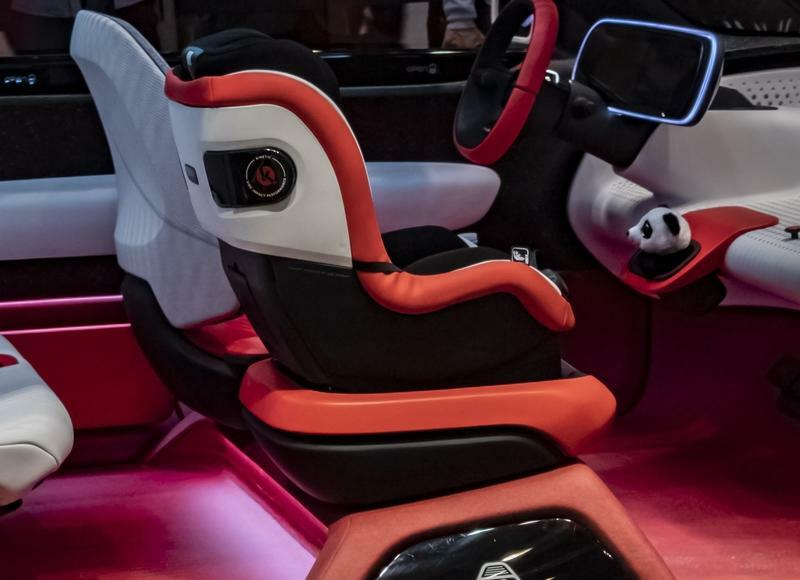 So are the seats, the headliner, the doors, the dashboard, the steering wheel, and just about every available surface inside the concept vehicle. You can add plush seat cushions if you want more comfort from those seats. You can also throw in a Bluetooth speaker holder in the event that you need one. A camera mount? Sure. A bottle holder? Why the hell not, right? Heck, if you’re attuned to the art of 3D printing, you can create your own accessories and install them where you think they’ll go. A 3D-printed cup holder sounds ridiculous until you find a place for it inside the Centoventi. Then it becomes useful. You can even do all of this from the confines of your own home. Print the accessory, fit in the car. It’s so simple that it sounds ridiculous. And yet, the Centoventi Concept itself borders on the ridiculous. It’s a great example of Fiat’s forward-thinking. But is the concept feasible enough in today’s world that Fiat can make a business case of turning it into a production model? I suppose that’s a question for later on. Fiat didn’t exactly elaborate on power and performance specs, but the theme of flexibility is also applicable in the concept’s range. Just like the exterior and interior of the Centoventi, the number of batteries you want in your vehicle is entirely up to you. Fiat is throwing you a bone in the form of one battery that’s good for a range of 61.5 miles, but if you want to extend that range or add more power to your ride, you’re going to have to buy more or lease more if that’s your preference. Each battery provides the same amount of range, though if you load your car up to the brim with these batteries, you can extend the car’s range to an impressive 309 miles. I don’t think I’ve ever heard of car batteries that can be rented out, but hey, Fiat’s imagination is at work here. In times like this, you take what’s presented to you and run away with it. The Centoventi, after all, isn’t built like a speed machine, so its performance times are largely irrelevant. It’d be interesting, though, to see a powertrain setup like this. I suppose the whole setup revolves around a plug-and-play system that should, in theory, at least, make it easier for you to install or remove a battery without breaking a sweat. 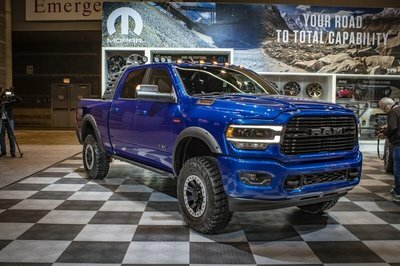 I have a unique level of admiration for Fiat and what it presented at the 2019 Geneva Motor Show. All jokes aside, the Centoventi Concept is the kind of idea that could have a promising future in the market. 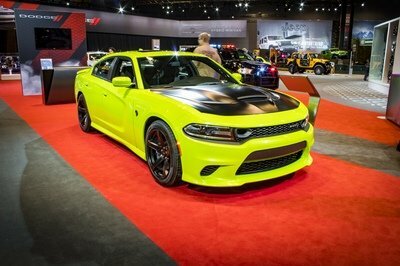 Why should automakers dictate the look of a car that you’re buying? Shouldn’t you be the one who gets to decide that? You should be the one who’s in charge of the car’s colors, materials, and, at least in this case, batteries and their accompanying range totals. Fiat doesn’t answer all of our questions about the feasibility of a concept like the Centoventi turning into reality, but it is showing us a possible avenue that it can explore to make the car-ownership experience more personal to the buyer. I don’t know if this concept will ever see production, but I wouldn’t be opposed to one day seeing a lot of these personalized rides on the road. The Centoventi is Fiat’s way of giving control to the customer to personalize his own car. The black canvas is there. It’s on us to dress it up however we see fit. "Democratising" everything trend-setting is part of the brand’s DNA: "The ABC of cars. Affordable But Cool". Fiat Concept Centoventi is a "blank canvas". Produced in just one livery, it can be "painted" by the customer using the "4U" program, with a choice of 4 roofs, 4 bumpers, 4 wheel covers and 4 external wrappings. 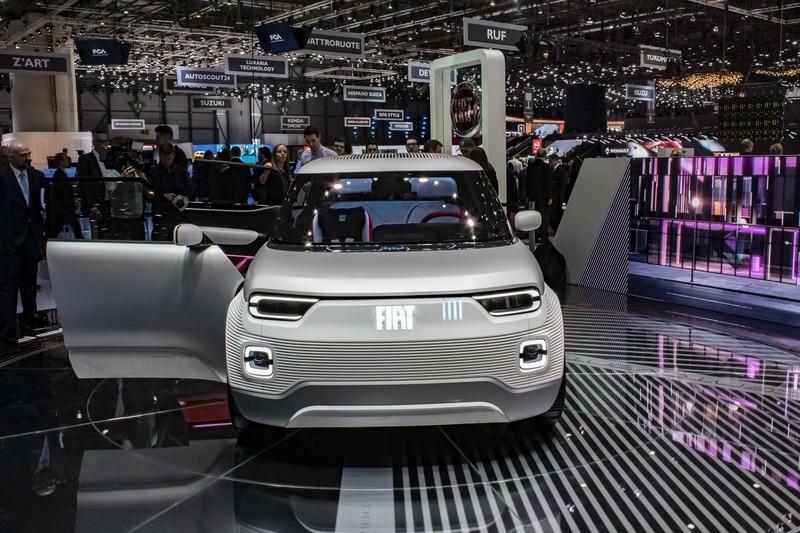 The 2019 Geneva International Motor Show sees the debut of the Fiat Concept Centoventi, the concept car that perfectly expresses the Italian brand’s idea of electric mass mobility in the near future. It is the expression of a bold, democratic future vision based on 120 years of history and experience in the field - hence the name of the prototype that means "One Hundred and Twenty" in Italian - which, maintaining the tradition, is destined to break away from the past and push beyond. Just as in the Fifties, for example, when the Fiat 500 sparked an industrial and cultural revolution, overcoming traditional categories in looks, design and engineering to become a masterpiece, unlike anything else in the automotive industry history, the first real example of mobility affordable to the mass market. But can we imagine something just as revolutionary in the future of our modern cities? The answer to this question is Fiat Concept Centoventi, the market’s most affordable electric mobility solution and one of the few also able to provide a really worthwhile range, for tackling long out-of-town trips. To conceive and develop it, the brand has focused its attention on its most pop, affordable, ingenious side, mining the vein that has yielded cars with incredibly modular interiors and striking stylistic personality. 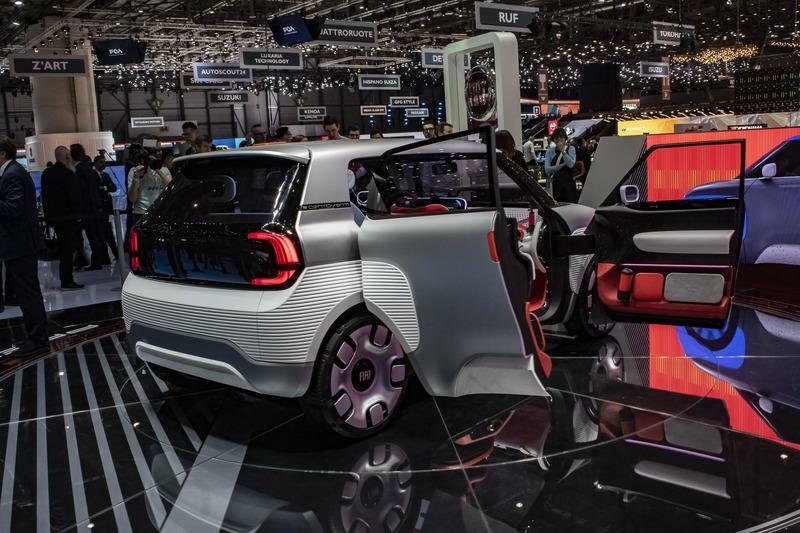 Fittingly, the Fiat Concept Centoventi projects the brand into the future, with its innate ability to "democratise" everything appealing and trendsetting: "The ABC of cars. Affordable But Cool". Fiat Concept Centoventi is fundamentally a "blank canvas" ready to be painted to suit the customer’s tastes and needs at any time of his life or day, without no customisation restrictions linked to the specific time of purchase. In fact, it will be produced in just one livery, which customers will be able to personalise using the "4U" program, with a choice of 4 roofs, 4 bumpers, 4 wheel covers and 4 external wrappings. So, just like modern devices, this vehicle can be updated with the greatest freedom and imagination in its colours, interior configuration, roof configuration, infotainment system and even battery range. And this is one of the concept car’s strong points: owners no longer have to wait for new special editions or facelifts, as they can "change" their cars any day they like. It is made even more revolutionary by the presence, at the launch, of 120 additional accessories that will generate a genuinely new business model, as well as a community of Fiat Concept Centoventi fans. In other words, Fiat Concept Centoventi is the response to a real design and business challenge, which embodies the functional spirit of the brand and pays tribute to its 120 years of history, at the same time, with a modern take on some trademark style elements that hint to the Panda of the 1980s. Fiat Concept Centoventi is inspired by Italian design and embodies Fiat’s "less is more" concept, which means getting rid of everything unnecessary and complex in a car to provide more space for people (More You), for attention to the environment and the community (More Care) and for the brand’s DNA in terms of values and looks (More Fiat). 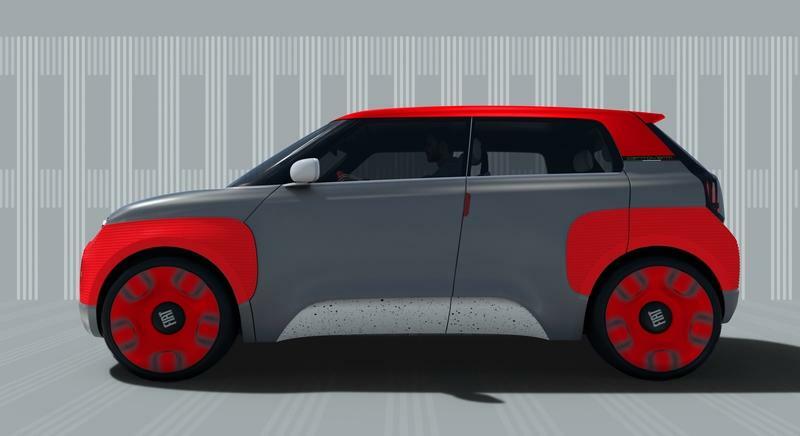 By playing these three cards, Fiat Concept Centoventi revolutionises the idea of electric mobility, in town and out, successfully overcoming the tougher and tougher challenges - in terms of traffic, regulations and costs of ownership - while simultaneously making the most of the new opportunities offered by electricity. 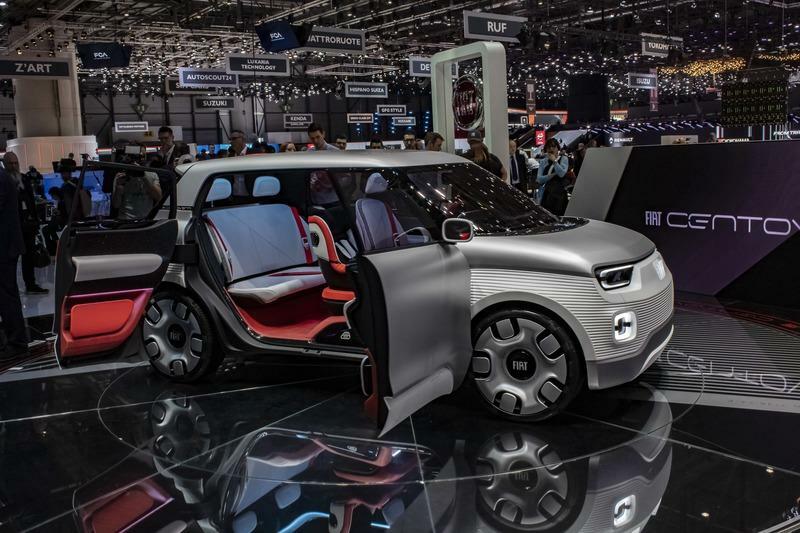 So Fiat Concept Centoventi can be constructed just as the owner wishes, inaugurating a new business model involving Mopar - the FCA group division that specialises in accessories, parts and services and enables innovative product personalisation, - the sales network and increasingly digital customers. 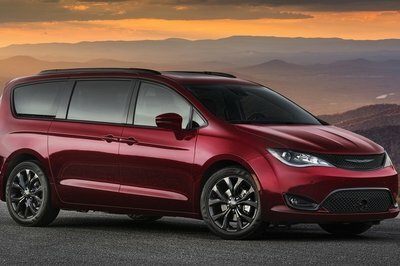 Except for six features (bumpers, polycarbonate roof, livery, Lingotto instrument cluster, batteries and digital tailgate), which can only be installed at dealerships, the other 114 accessories specially designed by Mopar - including the sound system, the dashboard and door storage compartments, the seat cushions, etc. - can also be purchased on-line and fitted by the customer at his own home. What’s more, some simply structured accessories, such as a cup-holder or a document-holder, for example, can actually be printed using a 3D printer, in the owner’s home, at their dealership or at a specialist printing shop. So this is a new business model for automotive accessories, enabling them to be resold or traded on the Web, nurturing a real community of brand fans or connoisseurs of Fiat’s Italian design, just as with collectors’ items. This new business model is focused on e-Commerce, the virtual market that knows no boundaries. In line with the car’s philosophy, various parts of the interior are created on the "plug and play" principle. The dashboard has small holes into which a multitude of additional components, of any shape and function, can be fitted, thanks to the patented interlocking mounting system, rather like the famous Lego blocks. The seats are innovative, too, with a bare back structure made from eco-sustainable materials, while the cushions and head restraints can easily be replaced to change their colours and materials. The front passenger seat can even be substituted with a storage box or child seat if necessary. The rear seats consist of a retractable bench and a back which rotates to make a "trunk" with extraordinary load capacity. Through its materials, Fiat Concept Centoventi explores new design horizons, drawing inspiration from trendy everyday items and exploiting innovative technological solutions and unique production processes. One of the many points of reference used are the sneakers, a fashion icon and very high-performance products. They inspired the seats of the Fiat Concept Centoventi, a masterpiece of Italian (or rather Fiat) creativity, achieved with the aid of top industrial partners. The seat, for example, is made from an innovative plastic produced using an exclusive, patented production process involving a new plastic formulated using polyolefin resins. The end result is a material three times lighter than other mouldable plastics, like foams - and what’s more it is coloured directly in the batch, meaning it has no external coating, looks attractive and is soft to the touch. Furthermore, this innovative plastic is antimicrobic, UV-resistant and completely washable. Not to mention that it can be coloured in an infinite variety of shades, including metallic and pearly colours and bright or saturated pigments. The "3D knit" technology of the seat backs and head restraints, made from 100% recycled yarns, is just as innovative. This technology has already been successfully used not only in the sports sector, such as for sneakers or other technical-sports garments, but also in interior design for creating innovative, functional, flexible seating. Moreover, the particular process is able to create fabric weaves of varying cross-section, which avoid the generation of waste materials requiring disposal. In front of the driver is the innovative, one-piece dashboard, which tips its hat to the Panda’s famous, historic "pocket" with an amazing Fiat-patented system of holes for the secure, personalised "anchoring" of a variety of accessories - from a cup holder to a bottle box, and from a glove compartment or anything else the customer may need - to build up a cosy, comfortable environment. Just as revolutionary, the instrument panel is available in two solutions: the first, perfect for the Millennial generation, makes the smartphone the heart of the system, in combination with the cluster’s main 10" screen, while the second, more traditional option features a second integrated display, giving a cluster of 20". In the former case, at no extra cost, drivers can "hook up" their smartphone or tablet to the dashboard to use its navigation, music, messaging, etc. functions. 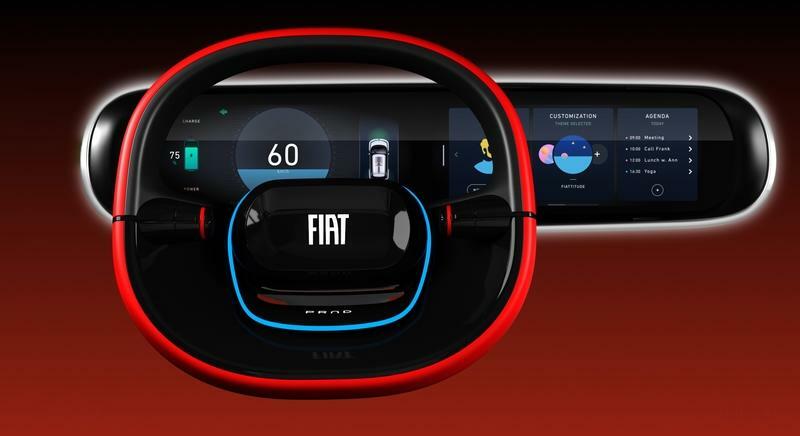 Anyone seeking a more traditional solution, on the other hand, can opt for the "Lingotto" instrument cluster, a sophisticated, Full Digital 20" device enclosed in a support styled to evoke the historic Fiat plant in Turin. Integrated in the "Lingotto" display’s support are HMI driving assistance and safety functions, such as direction indicator, Blind Sport Alert system, braking system and battery charge status. Not forgetting that the part of the "Lingotto" instrument cluster facing towards the windscreen has an additional display perfect for showing car-sharing messages. The new "4U" program will allow customers to choose the combination of four roofs, four bumpers, four wheel covers and four wrapping films which, combined with an extensive catalogue of accessories, will make the Fiat Concept Centoventi unique and exclusive. The standard Fiat Concept Centoventi comes with an open roof, perfect for driving with the wind in your hair, which is of course closed by a "cap". As the other details, the roof can also be customised by choosing one of the available roof solutions - two-colour polycarbonate top, canvas soft top, integrated cargo box and even a roof integrating an innovative solar panel. More in detail, the 50 Watts generated by the solar panel will keep the car cool when it is parked and will power the innovative digital display arranged under the tailgate which closes the rear volume. 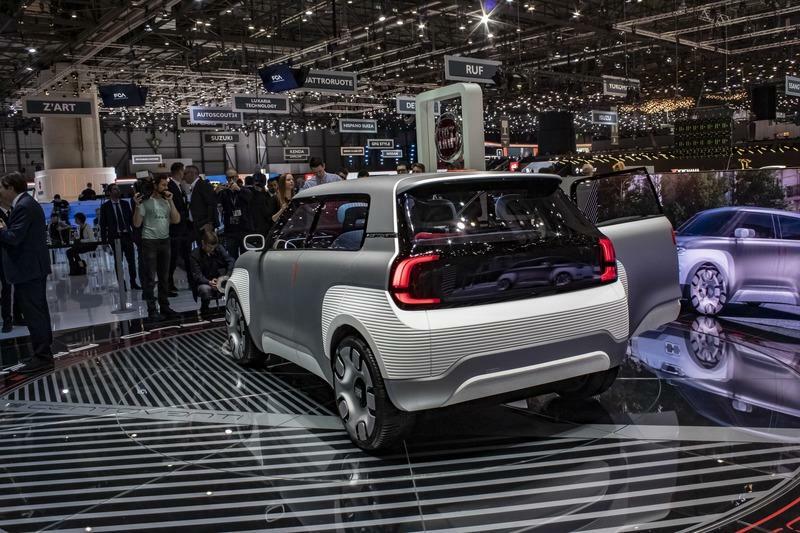 The large tailgate can accommodate an innovative display that enables Fiat Concept Centoventi to supersede the concept of connectivity to become a real social media device, on which messages can be shared with the outdoor world. When the vehicle is on the move, for obvious reasons of safety, the car will only show the Fiat logo, but once it stops, the driver can switch to "messenger" mode. What’s more, the digital tailgate can easily become an "advertising billboard", which can be rented out to advertisers, to recoup the cost of parking, for example. The Fiat identity is not only clear in these details; the car’s overall exterior look is also typical of the Italian brand. In a simple, uncluttered style, the new Fiat Concept Centoventi has rugged, compact, almost monolithic proportions, with dimensions that make the most of every space, to the point where the large block of the cockpit is "rested" on the one underneath, separated by a straight waistrail which underlines its two-box look and short line of contact with the bonnet. This impression of solidity is also emphasised by the wide door bumpers made from a new expanded foam material that absorbs scratches and knocks without denting thanks to its elasticity. What’s more, their "3d texture" emphasizes the feeling of protection and safety conveyed by the car’s exterior.